The Shindo Muso Ryu Jodo was founded more than 300 years ago by Muso Gonnosuke. He combined the most important techniques of Kenjutsu (art of the sword), Sojutsu (art of the spear) and Naginatajutsu (art of the halberd) and used to that means a stick (jo) made of hardwood, 128 cm long and with a diameter of 2,4 cm. The strategy and the techniques of the school were very hard to learn and during many years it was taught in secret. The Jodo practice has many advantages. 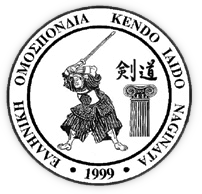 That is why it was decided, under the guidance of the 25th headmaster Takaji Shimizu Dai Sensei, to make Jodo accessible to more people. In the original system there existed 64 kata (forms) and 12 kihon (basic techniques). From there on a system was developed that existed of 12 kata and 12 kihon, that expressed the fundamental principles of the school. This set is called Zen Nippon kendo Renmei Seitei Jodo kata. These kata were established in 1968 after 5 years of investigation. Once these kata have been mastered, one can decide to go further, trying the older forms (koryu). The main target to which hits and thrusts are aimed is the plexus solaris. Beside this the temple, the point between the eyes and the sides of the trunk are important targets. The actions of the jo are, when executed in combined series, very effective as a defence against attacks with, for example, a sword. A remarkable aspect of Jodo is the rapidity and the frequency by which the jo is handled. This is due to the fact that the jo has neither beginning nor end, which allows for many combinations. The jo is as such an excellent way to develop dexterity.